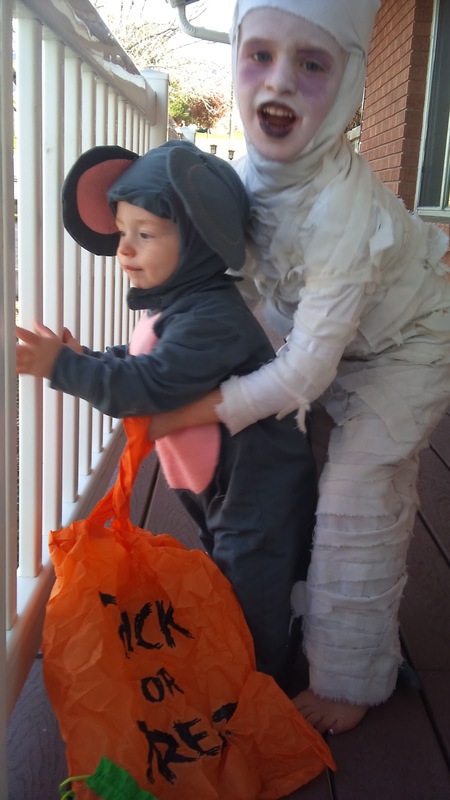 I know I gave you a peek at my kids Halloween costumes in my last post, but they looked so cute that I want to share them again. Asher was a mummy. He has been telling me since last Halloween that he wanted to be a mummy this year. 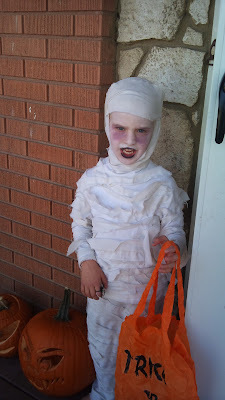 All year I fretted over how to make a mummy costume that he could actually go to the bathroom in. Because, you just know that as soon as I got him all wrapped up he would have to go. 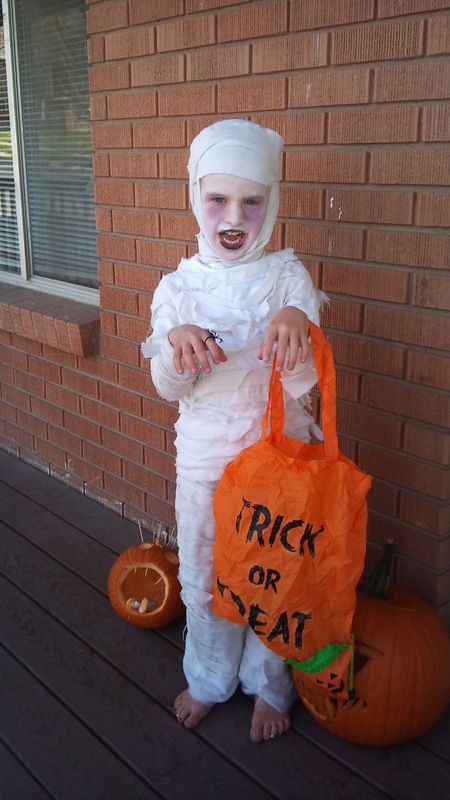 Finally I found this great video that has fairly simple instructions on how to turn a white pair of pants, a sheet, and a white turtle neck into a great mummy costume. Rose told me she wanted to be a princess for Halloween (surprise, surprise) but when I asked her which princess she wanted to be she said "Cleopatra!". For the last few months I have been trying to find books for her at the library that are about REAL princess, not just the Disney ones. She loved the book on Cleopatra, but we had returned it months ago and so I was really surprised that she remembered about her. 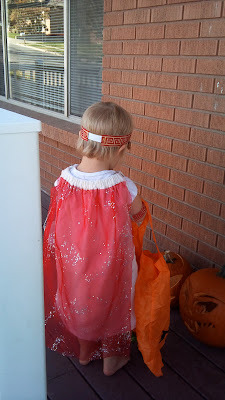 I was sure she would want to be Cinderella but was thrilled she'd rather be a historical figure. Though, if the truth be told, Cinderella is probably a much better role model than Cleopatra... her story is quite risque, to say the least. She loved getting the make-up on loved parading around in her costume. 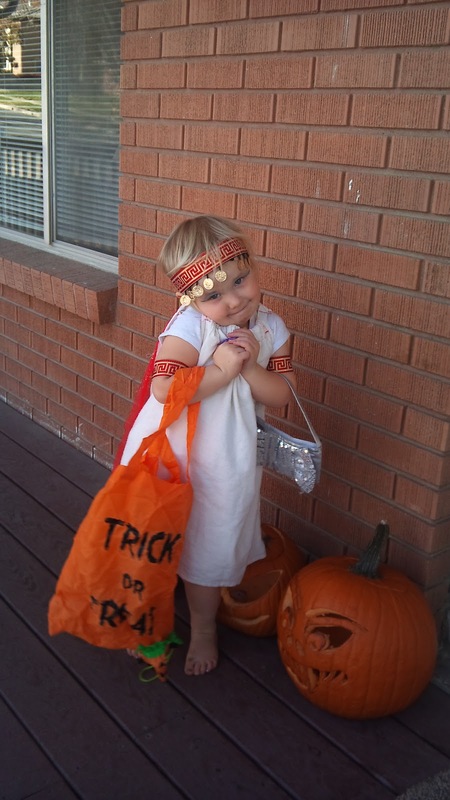 She was quick to correct anyone who called her "an Egyptian", a "Roman" or a "Princess". "No", she'd say, "I am Cleo-Patra!" She made a lot of people chuckle. 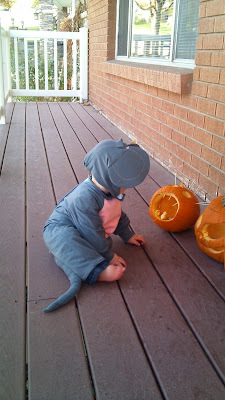 And Abe was just about the cutest mouse ever. I saw the pattern for this costume months ago and knew that is what he needed to be. Maybe it is his one little tooth, or his skinny little body, but he just fits the mouse role so well. I was just happy he kept the hat on... most of the time. These are the pumpkins we carved. 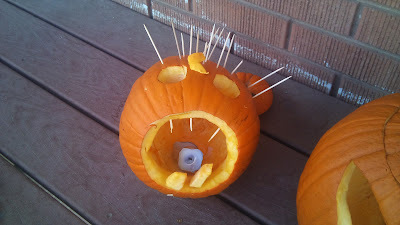 The one with the toothpicks in it is Rose's "puppy" pumpkin. She picked the strangest shaped pumpkin-- it wouldn't stand up straight-- and we were a bit challenged figuring out what to do with it. I think she was pretty creative! The one with the big eyes is Abe's (ie. 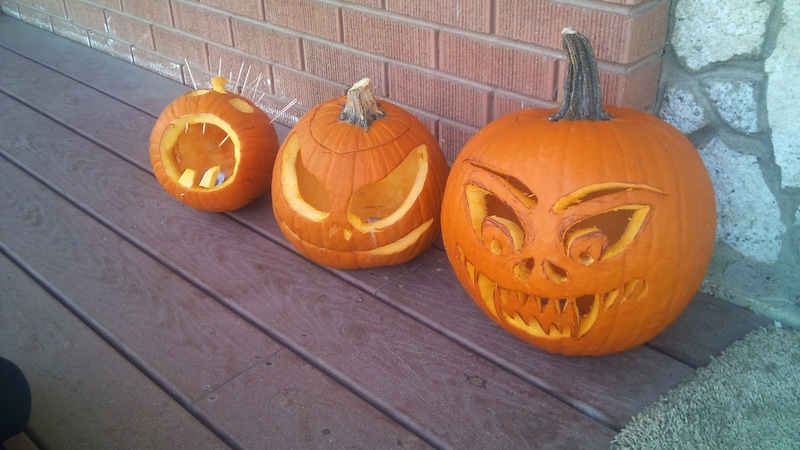 mine) and the scary one is Asher's. 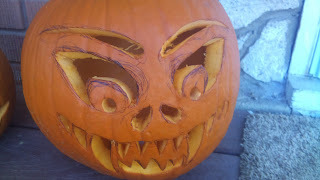 He spent hours looking at pictures of pumpkins I downloaded on the iPad and decided that this design was the scariest. Jon helped him draw it and carve it. We all agreed his was by far the most terrifying. 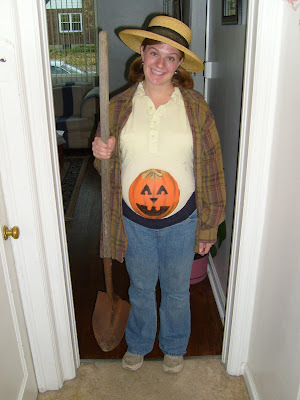 This week I shared a post on The Gift of Giving Life Blog on Ideas for Tasteful Halloween Pregnancy Costumes. When I was pregnant with Asher Jon painted my belly like a pumpkin and that was really fun. 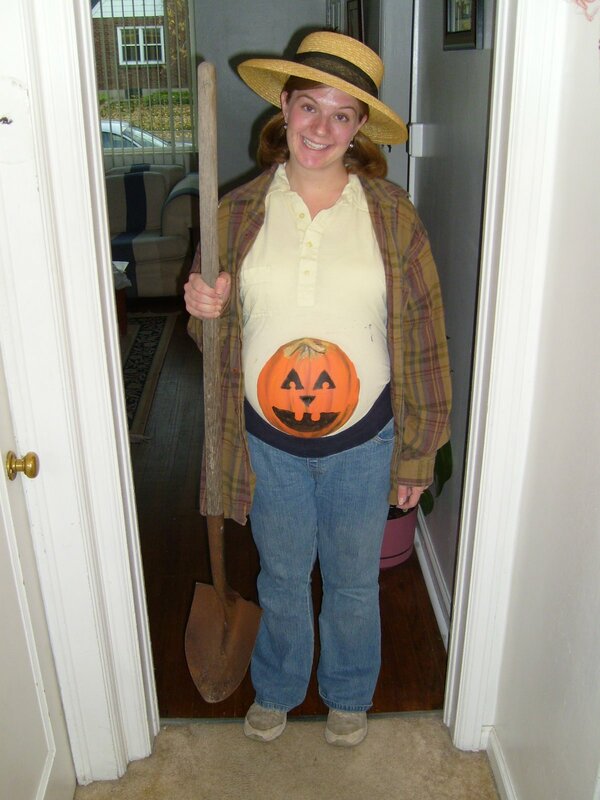 But last year I was almost 9 months pregnant with Abe but I couldn't find any new costume ideas that weren't super tacky. So I compiled this list of cute and fun ideas that I found so that if I am ever again pregnant around Halloween I will have some good ideas. If you have any more ideas please share them, it would be great to have a great big list of ideas! Also, even if you aren't pregnant this would be a fun post to pin on Pinterest, just so that you have it around in case you (or someone else) ever need it! Just one more idea to go along with my last post about celebrating Halloween. In addition to going to the temple on Halloween I also read D&C 138, the vision of the spirit world, to the kids for family scripture study. 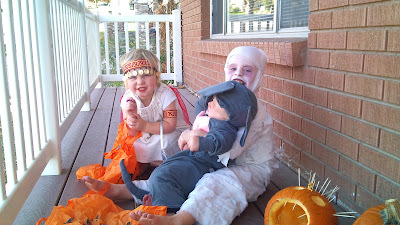 It seemed like a good story to tell them on Halloween. I think it went over with them well, and I am sure as they get older it will make even more sense. This has nothing to do with Halloween but it is really helpful. This website has an archive of all the pre-1970 General Conference Reports. This is really great because the LDS.org website only has all the General Conference Ensigns after 1970. So if you ever want to check the validity of some obscure quote or just read some really amazing old talks this is the place to go. I would LOVE to see pictures of your family dressed up for Halloween so PLEASE link your posts up-- even if they aren't a "Five Thing" post! Or if you just want to link to your own "Five Things for Friday" post you can use the tool below to add your link. 1) Please link to the URL of your blog post and not your main blog and 2) Please include a link back here. I am not pregnant anymore so I decided to go as Jareth from Labyrinth. My 6 week old baby was Toby from the same movie. I have actually waited to do this for years. I needed a baby to pull it off. Dream big. lol. Shannon Bowie. What cute pictures! 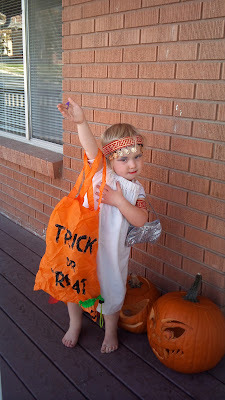 I love the Cleopatra costume! Very creative. Thanks for the link on the archived conferences. Those will be fun to go through. I love the link for the archived Conferences as well. Thanks so much for passing it along!